IGP Okoth Ochola addressing the audience in Sudan. The Inspector General of Police Martin Okoth Ochola has called for cooperation among Police Chiefs in the region for effective fight against organised crimes. 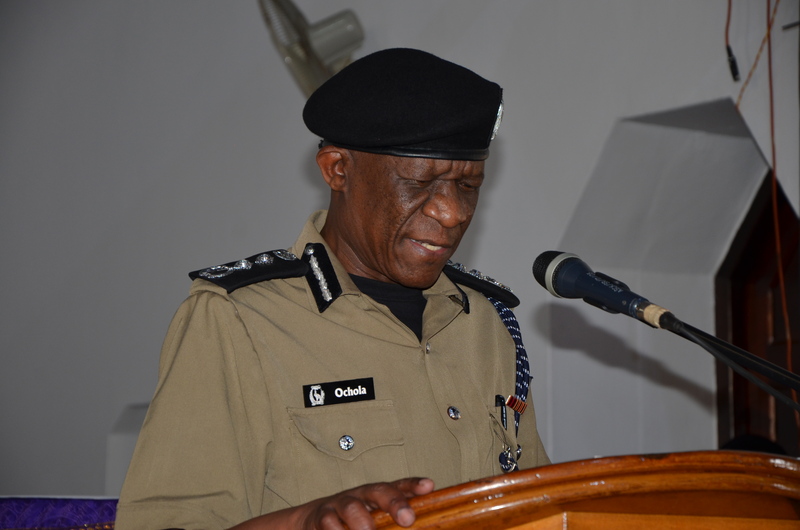 Ochola made the remarks at the 3rd Police Chiefs’ Retreat of the Eastern African Police Chiefs Cooperation organisation (EAPCCO) in Khartoum, Sudan. Ochola said cooperation remains one of the most significant tools available to police in the fight against transnational organised crimes. “In the face of growing globalization technological advancement, regional economic blocs that advocate for greater integration, the blurring of national borders and many other well intended policies, criminals have increasingly found it easy to operate in the international arena,” He noted. The retreat was flagged off by President of Sudan, Omar Al Bashir and chaired by Okoth Ochola is aimed at discussing law enforcement challenges affecting the region and to formulate strategies for better cooperation in the face of growing global and regional security threats. Under the theme ‘Security Challenges in the East and Horn of Africa and their impact on the Regional Stability’, Ochola urged his counterparts to critically address the issue of technology saying it is one of the vehicles that is used by criminals to execute their missions.